South Korea’s casino resort Paradise City welcomed a daily average of 3,100 visitors in the first 100 days of operation. “Since the first phase opened, about 90 percent of hotel rooms have been occupied,” a Paradise City spokesperson told South Korea’s Chosun Ilbo newspaper. The person added that the property (pictured) – which opened on April 20 – had since welcomed around 310,000 visitors. The project promoters previously had forecast the casino resort would receive about 1.5 million people in 2017. 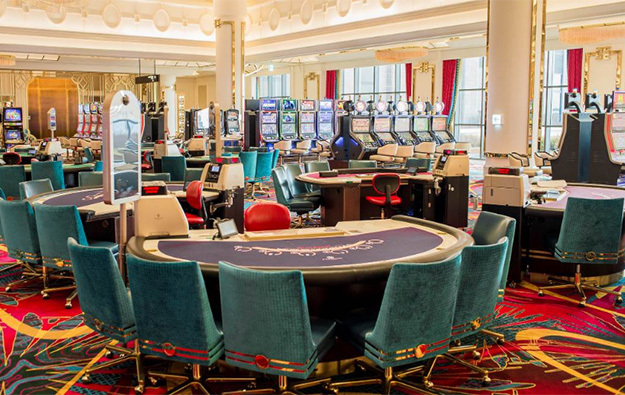 Paradise City – dubbed by its developers as the first large-scale gaming resort in South Korea – features a foreigner-only casino. The property, developed by South Korea’s foreigner-only casino operator Paradise Co Ltd and Japanese pachinko operator Sega Sammy Holdings Inc, is located near Incheon International Airport. The latter serves the capital Seoul and is a major regional hub. A second phase to Paradise City – to open in the first half of 2018 – will add further entertainment and leisure offerings to the complex, and a boutique hotel. The total investment amount for the 330,000-square-metre (3.58 million-sq-foot) site stands at about KRW1.3 trillion (US$1.16 billion), according to the promoters. “The second phase is 55 percent finished,” the Paradise City spokesperson told the Chosun Ilbo. Two additional large-scale gaming resorts have been announced for Incheon. Construction for the Inspire integrated resort scheme – by U.S. regional tribal casino operator Mohegan Gaming and Entertainment in partnership with South Korean chemicals manufacturer KCC Corp and Incheon International Airport Corp – is scheduled to start before the end of 2017. The second project includes U.S.-based casino group Caesars Entertainment Corp and mainland China real estate developer Guangzhou R&F Properties Co Ltd. According to information provided by Caesars Entertainment management to GGRAsia earlier this month, major site works were scheduled to start within the current quarter.